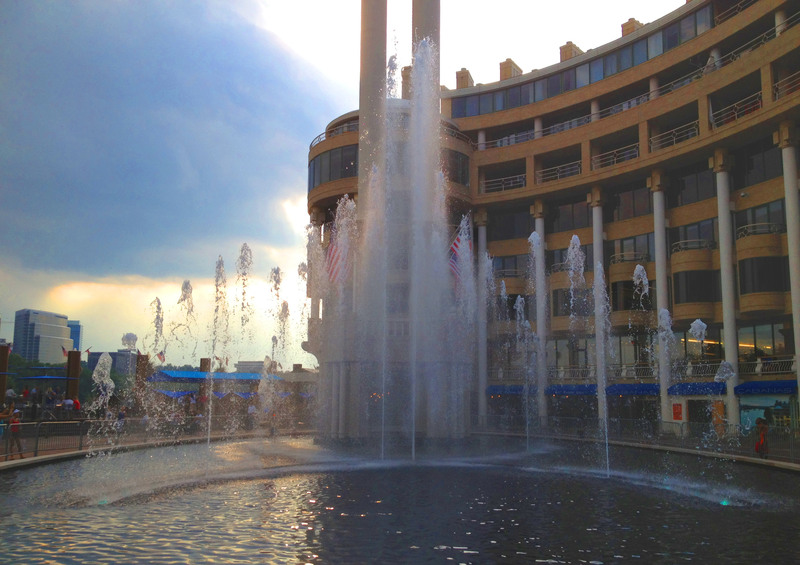 Fountains are a wonderful display of power, grace and engineering. Whether indoor or outdoor, a fountain emits a performance not many can resist watching. A well-designed fountain enriches the surrounding area and provides many benefits beyond just entertainment and serenity. For over 10 years, Southern Aquatics has built hundreds of commercial water features all over the United States. With our strong focus on quality workmanship, professionalism and teamwork, we provide budget and fountain design to streamline the process of building a top of the line water feature. Below is an excerpt into what it takes to build an award-winning fountain with top-notch design aspects and cutting edge technology. Deciding to build a fountain for your business or property is a powerful way to enrich the surrounding community, draw attention to your building and add prestige to your company brand. However, building a commercial fountain is an extensive project that involves many different skills and talents. The process requires funding, plenty of time, property management – and if erected on public property, approval from city councils. 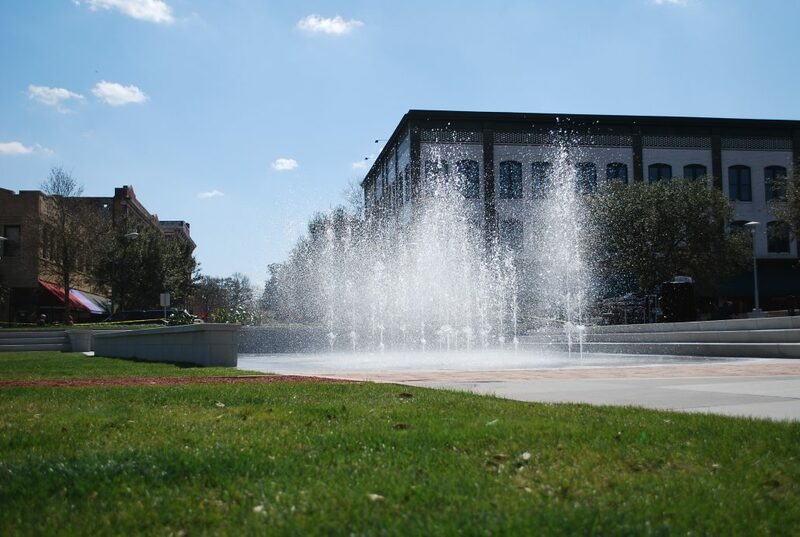 Depending on the size of the project, some commercial fountain projects enlist the help of other specialized companies. When building a fountain, Southern Aquatics offers custom, turn key solutions that manage all the detail of construction; from designing to plumbing, we streamline the process for our clients. Water work projects are split up into different components depending on the type of work. Elements requiring different design and engineering process are outsourced to companies with specific specialties. A developer, for example, creates the preliminary design for the fountain and teams up with an architectural firm to plan out all the structural elements of the feature. After all the plans are made and approved, a construction team ordinarily handles all the construction operations and property management aspects of the fountain. A fountain is made from many different components, let’s look at the major parts, and how having a vision will help dictate which components should be used. When considering a water feature, reflect on the effect you want your business or establishment to have. Visualize the area where it would be placed and how much square footage it would realistically require. Remember that the depth is just as important as the width and the height because it determines how the water streams collect in the basin and looks to viewers. Next, determine the pump and piping required for the function of your fountain. This step is crucial because the piping that is chosen for your fountain determines how much pressure the fountain needs and how long the fountains runs. This is done by selecting the appropriate filter. Remember that the bigger the filter, the more powerful the pump you’ll need. Don’t forget to focus on the lighting of your fountain – as a rule of thumb, keep all fountain lights submerged at around 2 inches below the surface to ensure powerful illumination. Also, know that floods lights key in illuminating the entire fountain stage. To maintain long-lasting, and efficient operation, your pump should be equipped with sensors that maintain the appropriate water level and can shut down the system if water levels are insufficient. Wind sensors are additional sensors which are helpful because they reduce the amount of water used by a fountain when affected by strong winds. Other important electrical components include microprocessors, timers, controls and motor starters. Now that you have all these elements in place, it’s time to Contact SAI Fountains and talk to an experienced aquatic specialist who can help bring your fountain dreams to life!